But it isn't feasible to study every single species on the planet in depth- there are hundreds and thousands of types of insects alone! Fortunately, it has become clear that there are often many parallels between the biological systems at work in many types of creature, from yeast to humans. This had led to the establishment of a number of so-called "model organisms", which are studied consistently by investigators the world over. The consistent use of these particular critters allows us to make and test ideas about biology in a rapid and reproducible way. In the case of some very important mechanisms, the use of very simple animals has managed to tell us a great deal about humans. To do the same experiments with people would be very time-consuming (not to mention unethical). The vast majority of model organisms used by scientists in the UK are small simple animals. The most common of these include microscopic nematode worms, fruit flies and African claw-toed frogs. Or to give them their official names, Caenorhabditis elegans, Drosophila melanogaster and Xenopus laevis. I'll stick with worms, flies and frogs to keep it simple. All these animals have the advantage of being available in large numbers, and are easy to breed. In the case of worms and flies, we have the complete sequence of their DNA. This makes it very easy to spot important genes and to use them for further study. As well as the breeding benefits, these animals have told us much about how animals develop from the egg. In particular, we have discovered how simple creatures work out which way is up, down, left and right when they are developing. Unfortunately, mammals such as mice and humans don't develop in the same way. Plant biologists often use a specific type of cress as a model, although you probably wouldn't want to sprinkle Arabidopsis thaliana on your egg sandwiches. Many experiments are also performed on brewer's yeast, a.k.a. Saccharomyces cerevisiae. Let's hope the Campaign for Real Ale don't get too upset. This may seem unbelievable, but these yeasty beasties have huge similarities to the cells found in more complex animals, even humans. For example, the way that DNA is wrapped up to fit in the cell is the same in all these organisms, from yeast upwards. Similarly, the basic ways that genes are activated and turned off is preserved. Even the way that cells from yeast and animals multiply is the same. For me, one of the most breath-taking things about studying biology is finding that a gene that plays a particular role in the humble yeast is also of paramount importance in humans. So why can't we just study yeast and flies to learn all about humans? The simple answer is that although many systems are the same in most cells, many are not- or have fundamental differences. As I mentioned before, mammals such as mice and humans don't make their embryos in the same way as flies, frogs or worms. The use of mammals in research is an emotive issue for some people, yet it is an inescapable fact that to study certain things only a mammalian model will do. In the UK, the use of such animals is very tightly regulated to ensure that only essential experiments are performed. There is a dazzling array of technology available to study the effects of genes in mice. This has led to the development of mice which model a wide range of human diseases, including diabetes, Down Syndrome, muscular dystrophy, obesity, deafness and many other inherited syndromes. The list goes on, as do the exploitable benefits to our understanding and treatment of human diseases. These "diseased" mice are created by the removal (or addition) of a particular gene by genetic engineering. Although the majority of disease models are mad in mice, there are a few syndromes which can be mimicked in other animals. 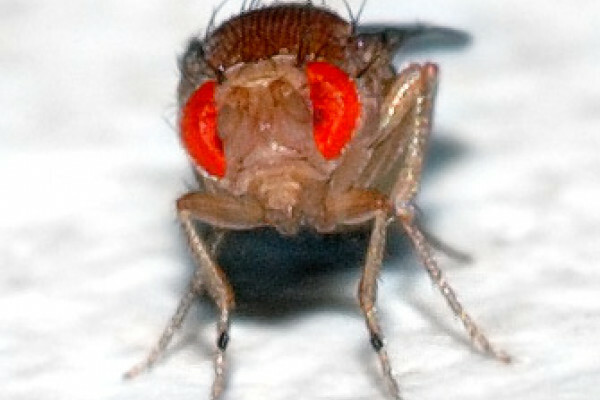 For example, it's possible to breed fruit flies that have some of the symptoms of Alzheimer's disease. One other technology which is developing into a model system in its own right is the growing of cells on plastic dishes in incubators, known as cell culture. Cultured cells can be taken from a wide range of sources. These may include human donors with particular diseases, such as cancers or inherited diseases. Cells can also be taken from animals such as the genetically engineered mice already mentioned. The only problem with devoting all our studies to cultured cells is the sad fact that the characteristics of these cells tends to change over time. This is because the cells pick up mutations from the culturing process. Some cell types, particularly the most popular ones, are now so mutated that they are like another organism altogether. So we must still always refer back to real animals to make sure our studies are really relevant and accurate. Next Can microbes and genes cause weight loss?